WELLINGTON, New Zealand - Auckland City FC's National Youth League title hopes are in a strong place after a frustrating 1-1 away draw to Team Wellington in the capital yesterday. Canterbury United sit in a strong position after dumping Southern United 4-0 in Dunedin yesterday and face bottom placed Hawke's Bay United at English Park in their final home game on December 17. Aaron McFarland's team face fourth placed Tasman United on December 16 in their final game at Kiwitea Street but any type of victory for the home side should be enough to confirm them as champions with the title decided on the head-to-head record tiebreaker between the two teams. That means if Auckland City FC and Canterbury United both win their forthcoming matches it will be the Junior Navy Blues who are crowned champions. 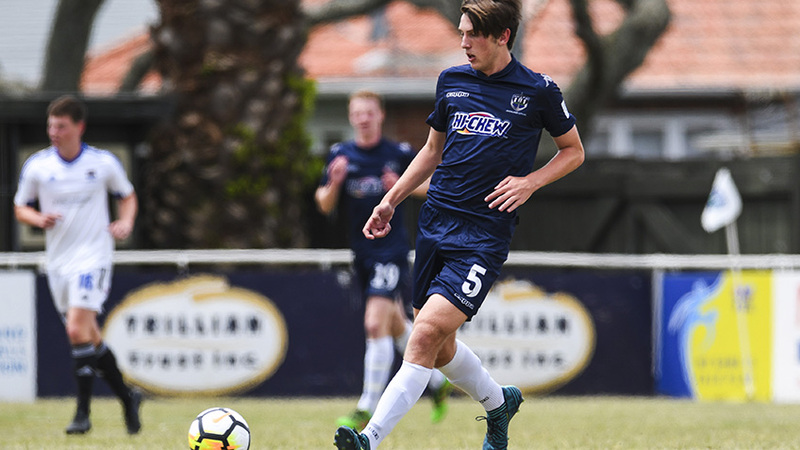 Auckland City FC could remain unbeaten for the entire campaign if they draw with Tasman United but witness Canterbury leapfrog them to the championship with a win over Hawke's Bay United. If that scenario unfolds, it will be only the second time in the history of the competition a team has not lost a game and failed to win the title itself. Ironically, Canterbury United achieved this in 2007 losing out to Auckland City FC by two points. Canterbury won four and drew three from seven matches while the Junior Navy Blues won five and drew two.